Are you using Google Translator App? Why do you need to install a lot of translation apps while most of them using Google translator service to provide the translation text to you? 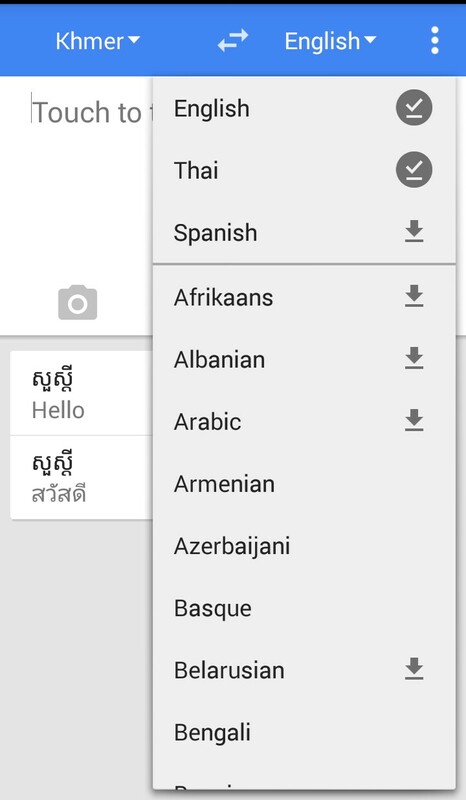 Two feactures you might be missing on Google translator App that I would like to pick them up there, especially for Cambodian users. You can down any language translation to use offline, such as here, I downloaded Thai translation for Khmer. You can write on the board and google identifies your writing and producing the predicted words for you, just like as this example. It’s great! even the word not in dictionary. 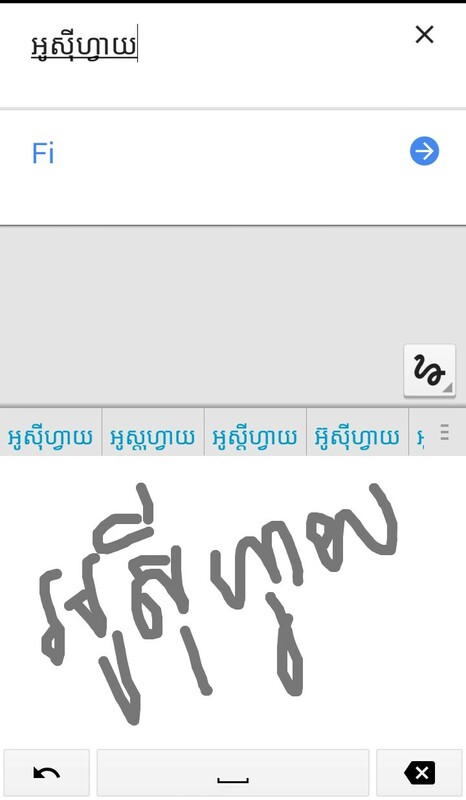 This kind of feature was found on the research website: http://khmertext.com but too basic, here google does great thing for Khmer hand writing.